An app note written by the late great Jim Williams back in 2006 discussing how to test linear regulators by applying a load transient to the output. These techniques discussed are also directly applicable to switching regulators as well making the app note doubly useful. My favorite parts of this app note are Figures 6 and 8 which show two interesting transient generator circuits, one BJT based and the other FET based. At the moment I’m trying to gather up the necessary parts to prototype one of the circuits and possibly throw it in a project box to use at work. A great resource for anyone doing work in power electronics. 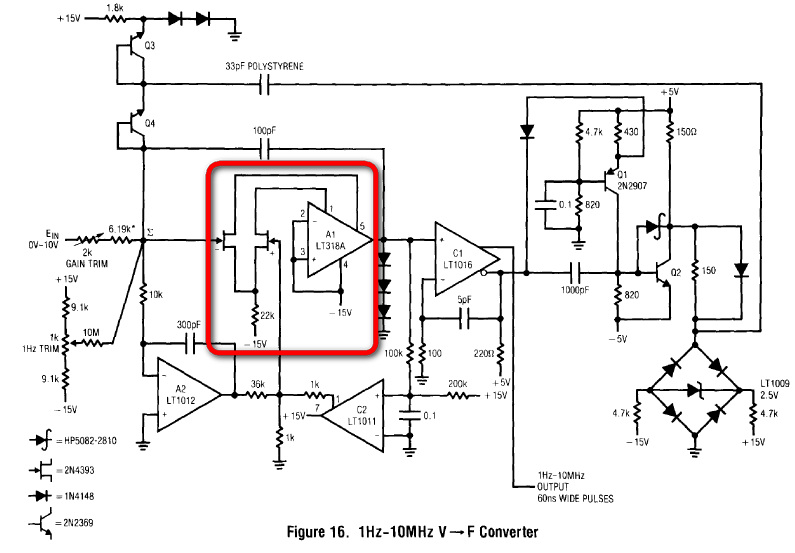 Want a fantastic reference about the intricacies of op amp design? Look no further than this app note written by Bob Widlar. Covering everything from input/output stages, to techniques for increasing slew rate and proper layout, any and all relevant topics related to op amp design are discussed. There’s even a section on thermal feedback which is interesting as it’s not a topic typically covered all to often. While I don’t think I would recommend this app note as a stand alone reference for a beginner, it’s perfect for someone looking to expand their knowledge on op amp design. If you are a beginner I would suggest pairing ANA with either Johns & Martin or Gray & Meyer. Fun Fact: Gray and Meyer are cited several times in the bibliography. Not exactly an app note but still another good reference to keep at hand. If you’re looking for a general overview of ADCs and DACs along with a bunch of other useful information I highly recommend this book. Chapter 1 is an interesting history of converter technologies throughout the ages. Chapter 2 discusses sampling theory and defines converter specs. Chapter 3 covers the various topologies of DACs and ADCs from a primarily applications standpoint rather than a design one but is still incredibly detailed. Chapters 6 and 7 cover interfacing and all the various support circuitry that goes into properly using converters in your design. Chapter 9 has a some good information regarding board layout, passive components, prototyping, and more. I read through most of this handbook two summers ago during an internship while waiting for automated tests to run and I can say I learned quite a bit. Over the years I’ve accumulated a rather astounding number of app notes on my hard drive from various companies. What few ones I’ve read so far are, in my opinion, very useful and should be shared. The rest I’ve downloaded thinking “This looks like something I should keep around in case it ever comes in handy,” only to never open them and let them collect virtual dust. Sharing the interesting ones on my blog seemed like a win-win-win situation, I learn things reading app notes, you learn things from reading app notes, and I de-clutter my hard drive/Dropbox account,everybody wins. So without further ado here’s a few of the most useful app notes I’ve come across. If you’re like me whenever you come across a part that isn’t in any of the main component libraries when using P-Spice you think to yourself “Is this part really necessary? 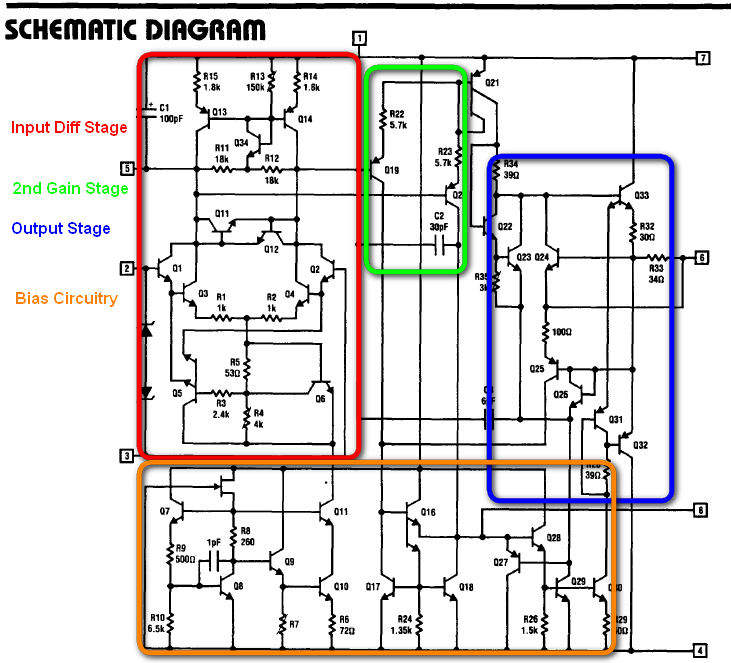 How well does my design work with this op amp instead of the one I want?” I did this because up until I found this app note, even if I could find a SPICE model online for a part I wanted, I didn’t know what to do with it. Enter AN1613. It goes through an easy step by step process of how to take a SPICE model you’ve found online and actually make it work in a Cadence Allegro Design simulator. I’ve used this app note to help simulate parts from a few IC companies with great results. While not exactly a single app note, Op Amps for Everyone is still a great design guide to have handy when you need to quickly refresh yourself on a topic or get a basic overview of a concept before researching it in more detail. It covers everything from basic circuit analysis and feedback theory to filter design, converter interface, and everything in between. There’s plenty of examples to go along with the theory as well as a whole chapter on layout considerations. Here’s a blast from the past, AN95-1 was first released in 1967 by HP. While slightly on the old side, I still found this app note pretty useful when trying to wrap my head around S-Parameters last summer. Got any favorite app notes you can’t live without? Share them in the comments, I’m always looking to collect more of them.